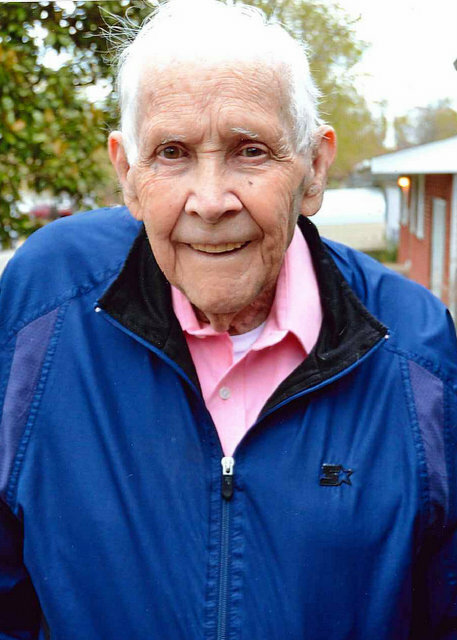 Funeral services for Leo Floyd Sams, 92, West Plains, Missouri, will be held at 2:00 p.m., Saturday, April 13, 2019 at the Langston Street Chapel of Robertson-Drago Funeral Home. Mr. Sams passed away at 11:20 p.m., Wednesday, April 10, 2019 at Ozarks Medical Center. He was born April 27, 1926, at West Plains, to Thomas Elmer Sams and Nova King Sams. Floyd graduated from West Plains High School with the Class of 1944. On March 27, 1951, he was married at Salem, Arkansas, to Eva L. Jones. Mr. Sams was a veteran, having served in Germany with the United States Army. He worked at DRS for 34 years. He enjoyed working in his yard and garden. Mr. Sams was a member of Calvary Pentecostal Tabernacle. He is survived by his wife of sixty-eight years, Eva Sams, of the family home; one son, Stephen Sams, West Plains; and several nieces and nephews. His parents, three brothers and five sisters, preceded him in death. Visitation will be held from 6:00 until 8:00 p.m., Friday, at the Langston Street Chapel of Robertson-Drago Funeral Home. Burial will be in the Howell Memorial Park Cemetery. Memorial contributions may be made to St. Jude’s Children’s Research Hospital or Gideon Bible Society and may be left at Robertson-Drago Funeral Home.